When people learn that I sell vintage treasures, they often ask what I collect. The answer, truly, is "not much." The longer I work with vintage items, it seems the less I actually collect myself. However, there are a few things that will always catch my eye, little vintage treasures that I have to bring home. Aprons are one of my vintage favorites. I love them. They remind me of spending time with my Granny in her kitchen, seeing my Mom wear pretty hostess aprons while entertaining, and making aprons in home economics class. My mother gave me this little piece about aprons; it brings back a lot of memories for me. 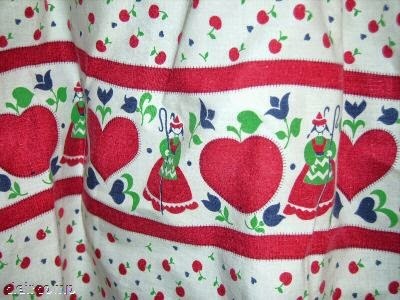 A red and white Valentine theme apron - how could I possibly resist? I love all of your vintage aprons. It's hard to pick a favorite because they are all beautiful! I too enjoy vintage items, especially men's ties. Have a collection of nearly 500 of them! I have one apron! 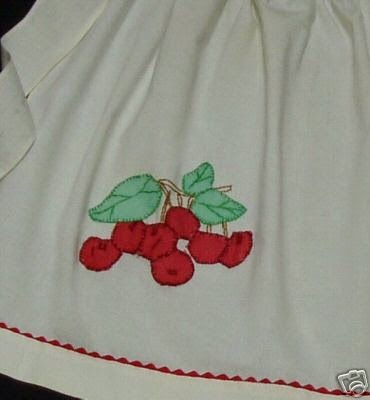 I absolutely love vintage so having a vintage apron would be nice to have around. I love the quality and detail of yours...they are beautiful! 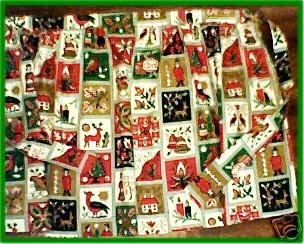 Aprons are awesome, and I loved reading the nostalgic piece--it reminds me of my great aunt who lived on a homestead and heated and cooked with a wood stove. No one in my family ever wore aprons, but after many ruined shirts from grease and spills, I discovered the joy. I just have a plain, serviceable apron, but I love wearing it when I'm cooking or baking. It's like putting on my superhero costume. As an added bonus, I no longer ruin clothes when cooking or baking! 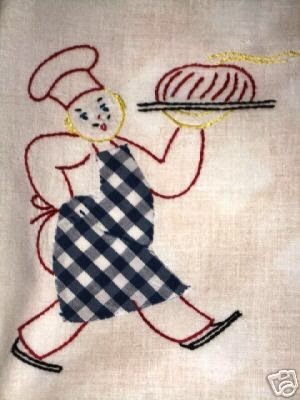 I have fond childhood memories of being allowed to wear my grandmother's apron as I "helped" her bake. I remember her whenever I see aprons that are similar to hers. Thanks for the visits and comments! I appreciate them. Scott, your collection of vintage ties sounds great! My great grandmother taught us how to make an apron from a dress when we were little girls -- she was upcycling out of necessity in the great depression long before it was trendy on Pinterest, LOL. I wish I remembered how though if I was crafty I expect I could figure it out. I wonder if she knew she was creating a memory that would live with us forever. 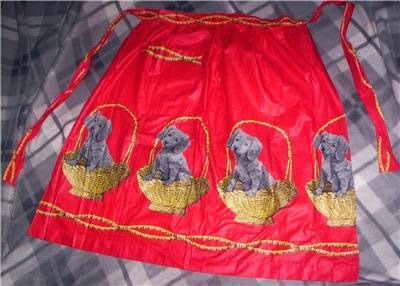 My favourite of your picks is the Valentine's apron. 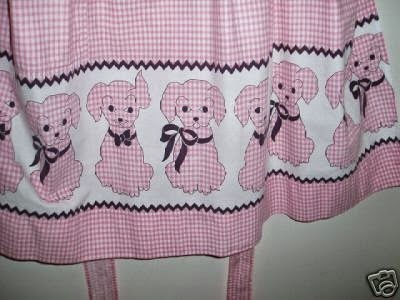 Brenda, that is so neat that you learned to make an apron from a dress. I love that idea!